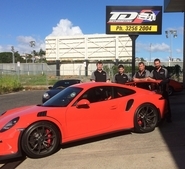 At T&D Automotive we provide quality service at competitive prices for all classic and modern Porsche models as well as all major European prestige vehicles, Japanese and Australian makes and models. Ted and the team have gained a wealth of experience on the Porsche Marque. You can also benefit from the many years of experience and insight T&D have gained from the preparation of many customer’s cars for club events, circuit racing and Targa events. For later model cars, we utilize the latest diagnostic equipment for fault scanning and onboard vehicle diagnostics. 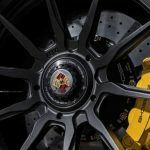 Correct suspension set up is critical for accurate feel and control of your Porsche both on the road and at the track. By reducing body roll and excessive movements under heavy acceleration and braking, you will have a car that will be far more enjoyable to drive when you take your car towards its limits at club and track events. T&D can provide comprehensive advice on a range of shock absorbers and spring upgrades as well as conversions from torsion bars to coil over kits. Our vast experience with both road and track cars ensures you peace of mind that your vehicle will be optimised to suit your driving style and driving conditions. A variety of brake pad compounds, hi-temp brake fluid, larger calipers, cross-drilled, vented discs… the possibilities are endless. Let T&D tailor a brake package to suit your particular vehicle and your performance driving requirements. Accurate steering response is a necessity for sporty driving and accurate control of your Porsche. T&D offer power steering pump and rack overhauls, as well as replacement of all steering components. T&D provide gearbox preparation from standard road car gearbox rebuilds to racing transmission modifications for high-output motors, LSD installations and custom gear ratio requirements. 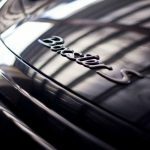 Porsche models offer the opportunity for many interchangeable components, none more so than their remarkable power trains. T&D Automotive have performed many engine transplants and can offer you a wealth of knowledge and insight when it comes to putting together an engine package to suit your vehicle and performance requirements. From carburetors to ECU chips to fully programmable engine management systems, T&D have experience with a wide variety of fuel delivery systems. The Exhaust system provides the final link to delivering your engine’s performance capabilities. T&D can offer advise on a range of exhaust options to compliment your choice of performance package. Yes, we do service and maintain many prestige vehicles including BMW, Mercedes Benz, Audi, VW, Jaguar, Daimler, Lotus, Lexus, Ferrari etc. Your fleet car or 4WD can also benefit from the expertise of our highly trained technicians. We service all Japanese, Korean and Australian makes such as Toyota, Nissan, Honda, Mitsubishi, Kia, Holden & Ford. 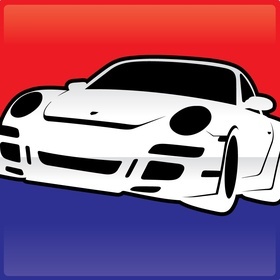 Copyright © 2019 TD Automotive Specialists. All Rights Reserved.